Morgan James Publishing, 9781683500773, 254pp. 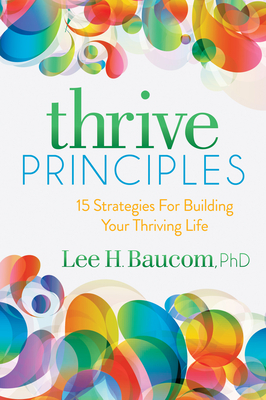 Dr. Baucom has spent the last 3 decades helping individuals, organizations, and companies to thrive. Trained as a therapist, Dr. Baucom became frustrated by the limits of therapy in helping people to grow in positive ways. He trained as a coach and began to incorporate timeless principles of thriving. The practice became very real to Dr. Baucom, who suffered a life-threatening illness in 2003. He had to apply his own principles to rebuild his life.